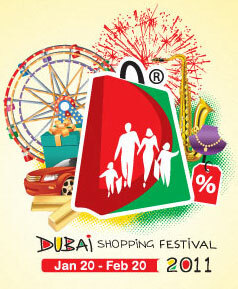 Dubai Shopping festival, 2011 would be the best opportunity to indulge in some great shopping at reasonable rates. Started in 2006, the festival has experienced a surge in number of participating brands. The Dirham Business persons, Arab leaders, fashion designers, and even celebrities attend the event to interact and explore several brands of their interest. The increased participation of various brands has made it the largest shopping destination of Middle East region. Lexus is an important brand part the Dubai shopping event. Other watches brands too offer exclusive discounts from 5 per cent to 50 per cent. There are car brands such as Mercedes, Lexus, BMW, other cars manufactured in Japan and China. These brands too sponsor some gifts for shoppers. There are many entertainment opportunities at the festival. The kids would have an wonderful time watching the various cartoon shows of pokemon, casper, tarzan, dolphin, and spiderman. Other recreations are the various competitions like the “Children of the World” Olympiad and sport events. Live music performances would mark the day and you can be part of the many dances too. The car raffle draws are an interesting feature of this shopping festival in Dubai. You can win a grand car, get an apartment, luxury watches, and even gold. There are several such prizes given out every year. The jazz music shows and circus are other facilities of entertainment at Dubai Shopping Festival, 2011. You can also come across a live performance from the following superstars such as Kazim Al Sahir, Nawal Al Zugby, Amr Diab, and Milhim Barakat. Tax Free Shopping in Dubai Shopping Festival – Dubai Shopping Festival is a celebration time for shopping lovers who thronged to this charming and scintillating city from across the globe. One can shop for the imported items like watches, perfumes, jewelry by leading world-renowned brands at a discount of 5 % to 50 %. The tax free discounted rates are not the only attraction of Dubai Shopping Festival, as you can win fabulous free gifts, bargain offers and raffle tickets. Dubai has rapidly emerged as the tourist capital of the Middle East and in the effort shopping in Dubai has been made largely tax free and merchants have been allowed to import products from other countries with very low or no custom duties. It very used full notes for the traveler. There are clearly mentioned all about the festival of Dubai.